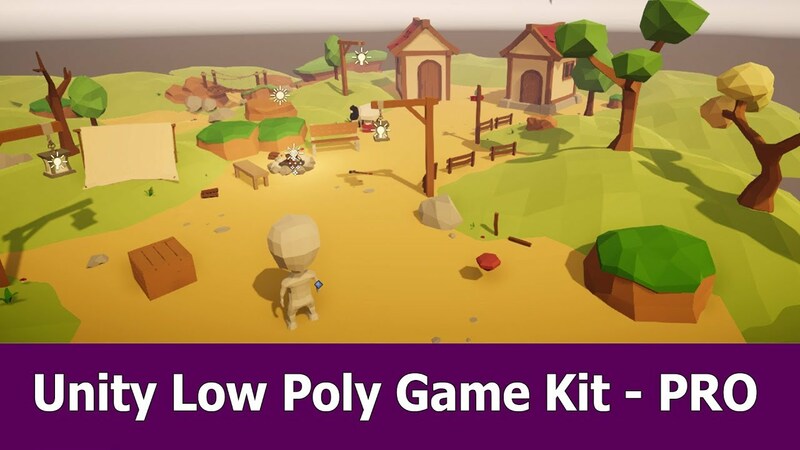 The Unity Low Poly Game Kit is now available as a PRO version with great new features. In this version you can define conversations for the characters with a grpahical Conversation Editor. The conversations are stored in a database, an asset that can be created and stored in your Unity project. To start a conversation between the player and an NPC can be done either via source code, or by a conversation trigger component. In this component, that can be attached to a character, you can define which conversation is started, when a character is entering a trigger. There are also new terrain assets added to the asset and house with interiors and animations, for example for the door.